If we are creating a connection between client and server using TCP then it has few functionality like, TCP is suited for applications that require high reliability, and transmission time is relatively less critical. It is used by other protocols like HTTP, HTTPs, FTP, SMTP, Telnet. TCP rearranges data packets in the order specified. There is absolute guarantee that the data transferred remains intact and arrives in the same order in which it was sent. 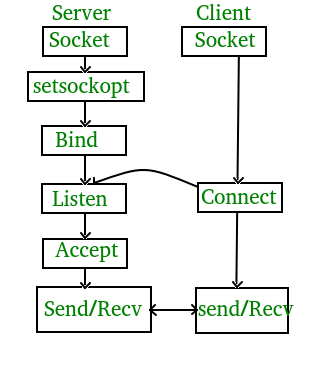 TCP does Flow Control and requires three packets to set up a socket connection, before any user data can be sent. TCP handles reliability and congestion control. It also does error checking and error recovery. Erroneous packets are retransmitted from the source to the destination. 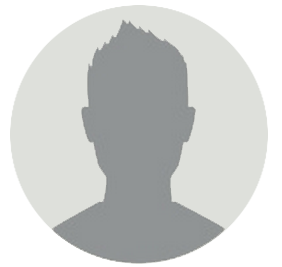 using create(), Create TCP socket. using bind(), Bind the socket to server address. using accept(), At this point, connection is established between client and server, and they are ready to transfer data. connect newly created client socket to server. // Function designed for chat between client and server. // if msg contains "Exit" then server exit and chat ended.